Lily Brett is a highly acclaimed and prolific novelist, essayist, and poet. She has written five novels, three collections of essays, and seven volumes of poetry. Her work frequently explores the lives of Holocaust survivors and their children, the experiences of modern women, women’s relationship with food, and life in New York City. She is currently touring to promote her new novel Lola Bensky. I have been a big fan of her writing for a few years now and I was thrilled to have met her again for this interview, especially since I really enjoyed her new novel. 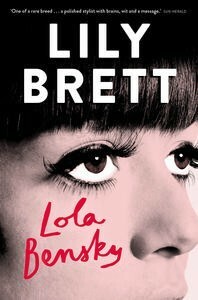 Lily before we start talking about your new novel I wanted to ask you a couple of questions about Lily Brett as reader and writer. What is your earliest memory of reading? My earliest memory of reading is from when I was quite old, compared to other children. When you are a child of refugees, and both of your parents are working in the factories, literature is not very high on the list of priorities of your life.I don’t remember reading anything until I was about 9 or 10, at which age I discovered Enid Blyton and the Famous Five. The Famous Five all went to a boarding school, and I was desperate to go anywhere, so my earliest memory of reading it is quite vivid. As a child, I listened to the radio a lot, because we had a radio, but I really did not have a reading background that a lot of other writers have. I started reading variously when I was much older, probably in my twenties. In your writing you cross many forms and many genres: fiction, nonfiction, poetry. Which of these forms you find the most fulfilling as a writer and why? I think it is very, very hard to think of one of the forms as more fulfilling than another because I basically love to write. I write anything. I even like to write shopping lists. I write such detailed shopping lists. All these forms are so different. There is something special about poetry, something that is very direct and you also know that you are not living in the poem for a year; the use of the words is quite different too. Nonfiction is also very different. I really don’t have a favorite form, although there is something really fabulous about being totally immersed in a novel, immersed to the point that your own daily life with all its irritations and choirs just stops existing. During the year that I wrote Lola Bensky I lived in 1967; the fact that it was 2011 just passed me right by. What do you think is the most important quality of a good writer? The ability to sit down and just do it. People always ask me for advice for writers. The only piece of valuable advice that I have ever been able to think of is to just do it. Because if you never sit down to do it you will just spend your life time thinking that you would like to do it, but you are not sure how to do it. In recent years we have seen many more books about World War II and the Holocaust make the best seller lists, for example The Book Thief, Hare with the Amber Eyes , and HHhH. How do you think reader’s reception to these stories have changed over the years? Let’s talk a little more about Lola Bensky. Lola, the main heroine of your latest novel is 19 and the novel is set in 1967. Why did you choose this particular year? Lola is your funniest and deprecating character to date, and you have mixed a lot of humor with some very serious and traumatic experiences from the Holocaust. One could say that this is not an obvious combination. What do you think this adds to your story? I think what it does; it gives me a break as a writer because I love to make people laugh. It is very satisfying to me to make people laugh as a writer and in my real life. I think that laughter and a sense of humor is my saving grace. It saved me from the lesser parts of myself and I think this is how I see life. The tougher aspect of the book, the historical aspects of the Nazi era, is so much part of me, and always will be it. It shaped me as a person and as a writer. I have a continuous need to write about it and I think I always will. I never actually realized until probably a decade ago how much a part of me it is. It was of course inevitable; you cannot grow up with two people who suffered so much and who lost so many people close to them; it is part of me, it is part of my soul. The late 1960s was a time known for a lot of amazing talent; many of whom you personally met and interviewed. However, it is equally recognized that many of these extremely creative people were also self-destructive. There is a lot of death in Lola Bensky and yet among all that death there are a few left standing. What made the difference? For a start it is a huge relief for me that Mick Jagger is still not only alive but very much alive, doing amazing things in his working life and the same with Cher. It is a huge relief to me to see that people can live through a turbulent era and come out still standing and not only just still standing. Self-destructive, is a very harsh way of looking at them because acquiring sudden fame and wealth is not easy. Suddenly nobody tells you the truth any more. You have more money than you have ever thought you would have and there are drugs everywhere, and that is a fatal combination. I don’t think that any of these people wanted to die, but we are all self-destructive in one way or another. It really is a very complicated question. I don’t really know what it is that makes some people have good lives and some just have a run of bad luck. I really have no idea, and it is hard to generalize. I think that it would be something different for different people and at different times. 1967 was a time of such social upheaval with very little understanding of drugs and alcohol. They were seen as expending your mind rather than being seen as wrecking your mind, and in the end they were a very tragic toll of that era. There was also not a lot of professional help at that time but even today you still see it with all sort of celebrities running in and out of rehab. It is a very hard world to inhabit and I think fame and wealth isolate you in so many ways. If you had a chance to go back in time and you could put one more question to one of the celebrities of that era whom you have interviewed, what would be that question and who would you pose it to? It probably wouldn’t be a question. It probably would have been a suggestion. And it would have been a tossup between Janice Joplin and Jimi Hendrix, but probably it would have been Janice Joplin. I would say, please don’t drink and get help, stop taking drugs. She was somebody who was very, very smart but who had an internal struggle she also had huge intelligence and a great sense of humor I was only 19 when I met her but even at 19 I knew that drinking hard liquor out of the bottle in the bag was not a very good idea. I wish that they all could have known it, but if I had to choose one person I say it would have been her. Three of my favorite books are poetry collections. The first one is from a Russian poet Marina Tsvetaeva. Her Selected Poems translated by Elaine Feinstein (it is very important to get the right translation) has been by my bed for years. The other one would be Astonishments:Selected poems of Anna Kamienska, a Polish poet, because I so admire her. I find huge depth in her poetry. 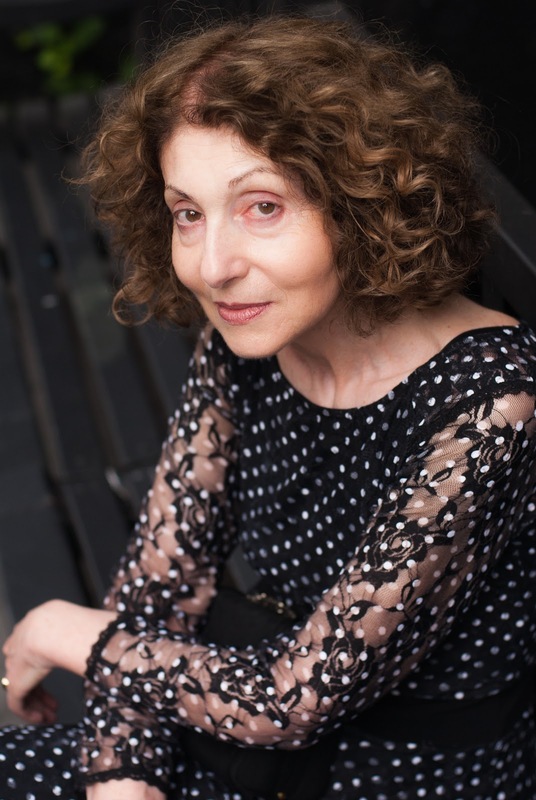 The third one is an Israeli poet: Dahlia Ravikovitch and her poetry collection called Hovering at a Low Altitude: The Collected Poetry of Dahlia Ravikovitch. All three of these collections contain so much of life, so much of happiness, tragedy, and hope. All three of these women are such beautiful writers. I know a lot of people are very put off by the poetry, but some of these poems are so simple and so breath taking and yet anybody could read them and understand them. Lily Brett, thank you for being so generous with your answers and time. Featured image courtesy of http://bit.ly/1MYC08K.